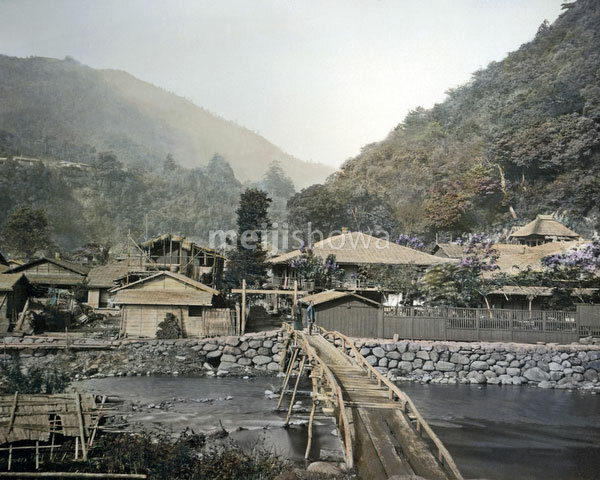 The wooden bridge crossing the Hayakawa River (早川) in Yumoto Onsen (hot spring), Kanagawa Prefecture. Ca. 1878 (Meiji 11).